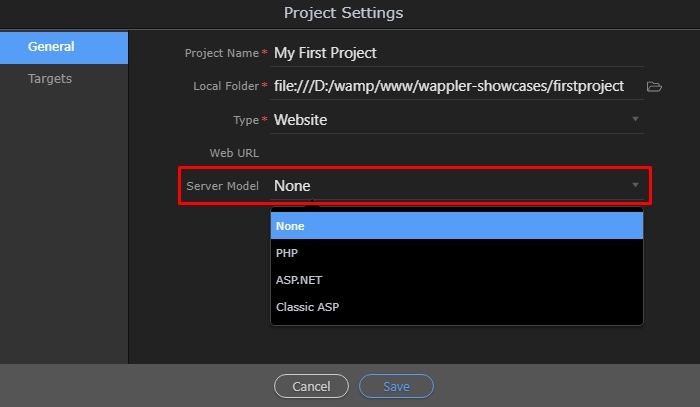 Wappler’s powerful visual server-side tools allow you to easily connect to your Database in a few clicks. 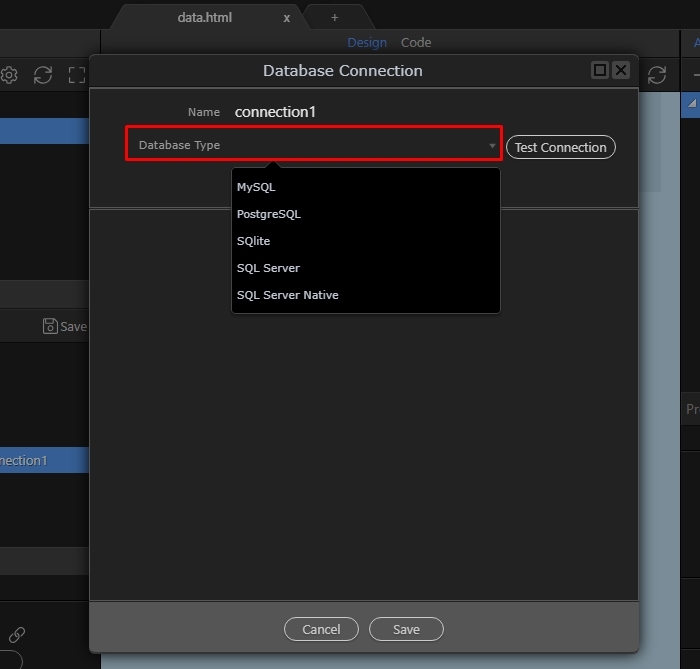 Before you create your databse connection, make sure to check HOW TO SETUP FTP CONNECTION and setup your target and select it, as this is required for the Database Connection. 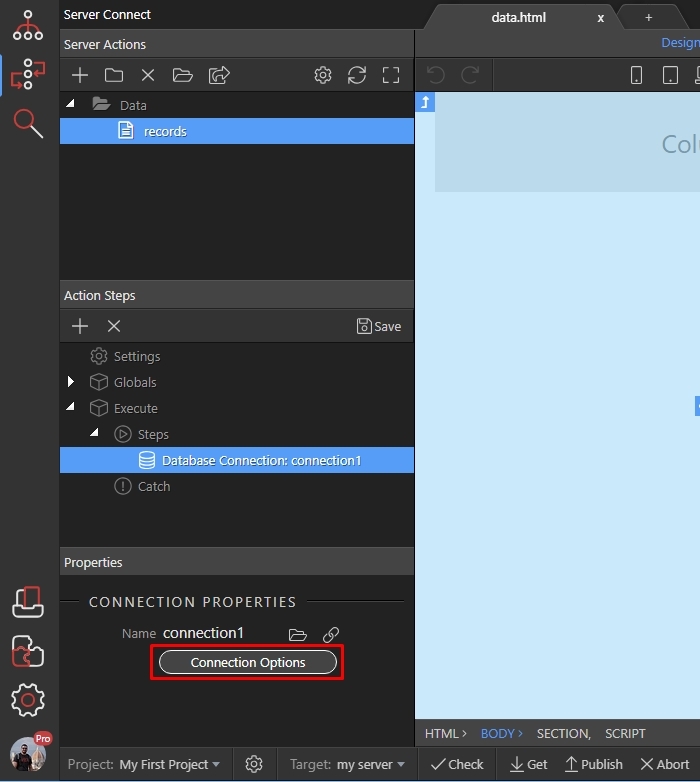 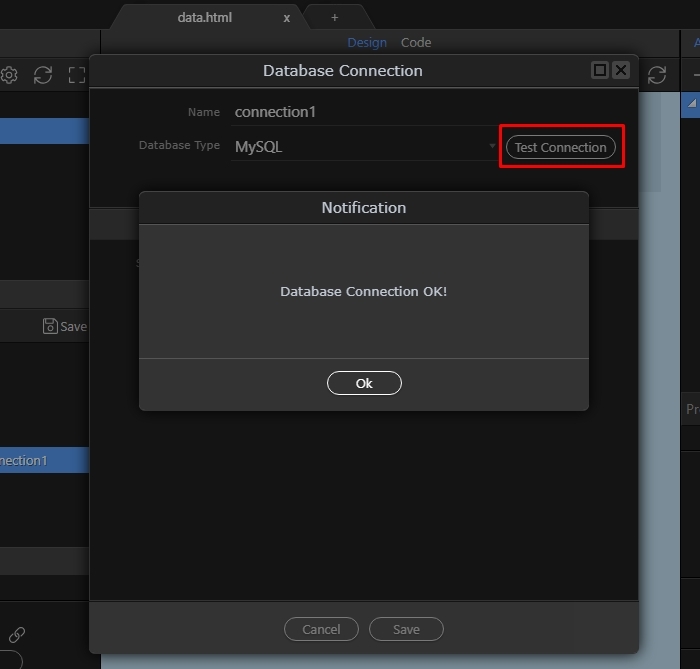 In order to connect to a database, we also need to SETUP A TARGET so please do this before you continue with the tutorial. When you select a server model server connect shows you the toolbar and panels. 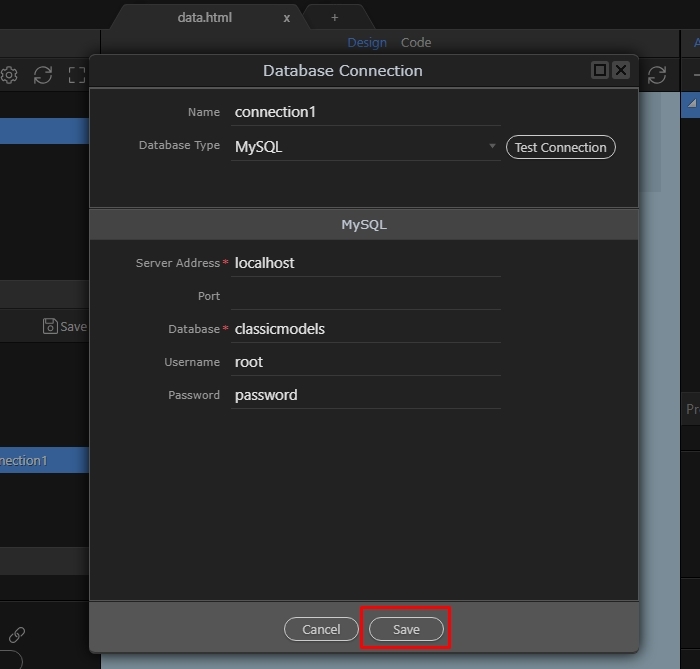 The first thing you need to do, is to create a Server Action. 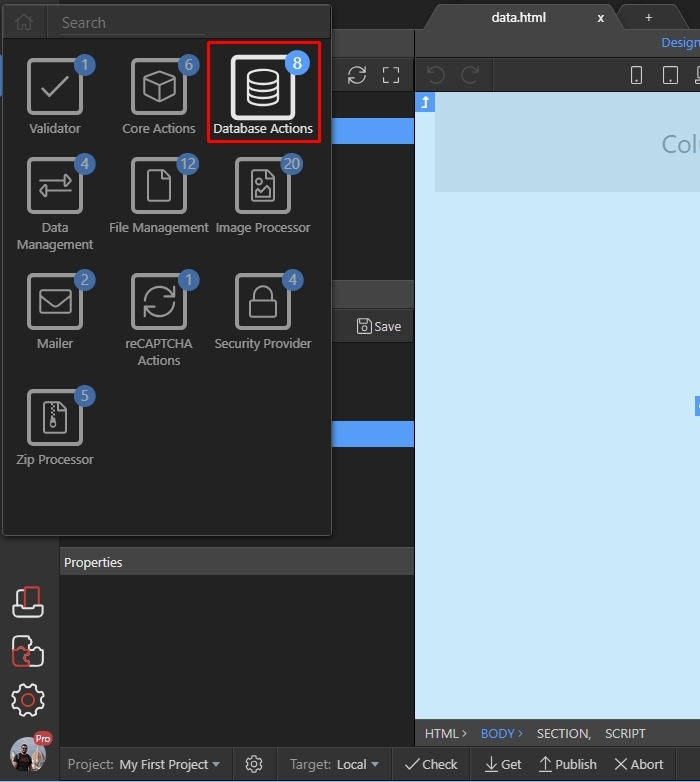 Server Actions store your workflows, and execute the steps you visually set up.